Before we all don silly hats and welcome in the new year, it’s time to take one final look back at the biggest, oddest, strangest, and most buzzed-about cruise stories of 2018. Then, hit the comments and let us know what your favorite cruise-related story of the year was. For a while, we’d all heard of something very big coming down the pike from Carnival Cruise Line. Speculation ran wild as to what it could be, but nobody could have predicted that they’d be putting a roller coaster on their next ship, the Mardi Gras. Truth be told, we’re still trying to wrap our heads around it! And something tells us that when we finally get to take a ride on Bolt in 2020, it’ll make that year’s list of buzzworthy stories, too! The entrance to Nassau in the Bahamas. Despite being one of the busiest cruise ports in the world, it’s safe to say that Nassau has lost its sparkle. Over the years, more and more cruisers have opted to stay on the ship when they arrive at the Bahamian port… and that has not gone unnoticed by the local government. In August, the minister of tourism made it clear that Nassau wants more money from cruisers, but the big question became what the port was willing to do in order to achieve their goals. As 2018 drew to a close, several entities were bidding for a contract that would see the port revamped in an effort to make it more attractive to cruise passengers. Fire ripped through the popular cruise destination Little French Key in August, doing around $3 million in damage and temporarily displacing the animals who called the sanctuary off the coast of Roatan their home. The story does have a happy ending, thankfully, as recent TripAdvisor reviews indicate that Little French Key is, once again, open and welcoming guests. Want to get cruisers fired up? Talk about smoking. Absolutely everything about the topic leads to heated debates. So it wasn’t surprising that Carnival’s decision to take a much stricter stance on lighting up in non-smoking areas (including staterooms and balconies) sparked a lot of conversation. But what left people fired up the most? The cruise line stating that not only might the offending smoker be booted from the ship, but so might the rest of their travel party! Carnival Sunrise will debut in 2019 with over 100 new cabins. Who says you can’t teach an old dog new tricks? Having disproved that theory years ago by transforming the Destiny into the Sunshine, Carnival made big news by revealing they were going to do it again. Twice more, in fact! First came news that, following an extensive drydock, the Carnival Triumph would re-emerge as the Carnival Sunrise. 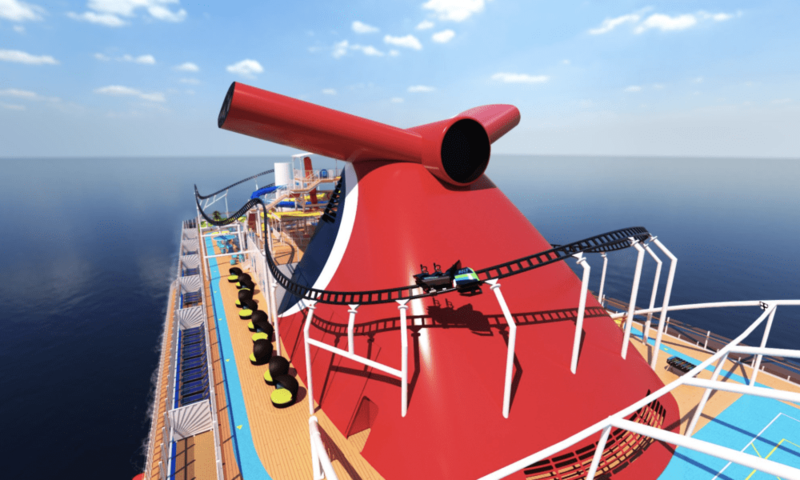 Soon after, they revealed that in 2020, the Carnival Victory would undergo a similar transformation and become the Carnival Radiance. Whether it was word much-loved ships would be sailing from new ports or updates on where the biggest and newest ships would wind up sailing from, cruisers followed each development like NORAD tracks Santa on Christmas Eve. Whether it was Carnival moving the Miracle to San Francisco, Norwegian sending the upcoming Encore to New York City or speculation about where to and from Virgin Voyages’ first ship would sail (answers: Cuba and Miami), people wanted to know. When in Rome, do as the Romans do. And when in the Caribbean, eat conch… or maybe not. June found the Bahamian minister of health issuing a warning that over two dozen people were suffering from conch poisoning. The victims had consumed raw conch (such as is used in conch salads) that was believed to have been improperly washed. The good news? Conch fritters weren’t hurting anyone. Norwegian Getaway is a great ship for families. Here at Cruise Radio, it’s not just about the news… it’s about every aspect of cruising — including having a bit of fun. When we took a look at some of the outrageous reasons people demanded refunds (including the guy who suggested the casino should give his wife back her money, since she didn’t win), it proved to be a good time for all. Royal Caribbean’s Empress of the Seas proved just how important it really is to be in the right place at the right time when, thanks to an adjustment to her itinerary, the ship wound up being perfectly positioned to rescue several fishermen who had been adrift for nearly three weeks! So what do you think was the biggest cruise-related story of 2018? And what story was your personal favorite?